Home / News and Media / Moderately yours! Peeling eggs is one of her stress busters and when she is in a zone, she can experiment even with horse meat. 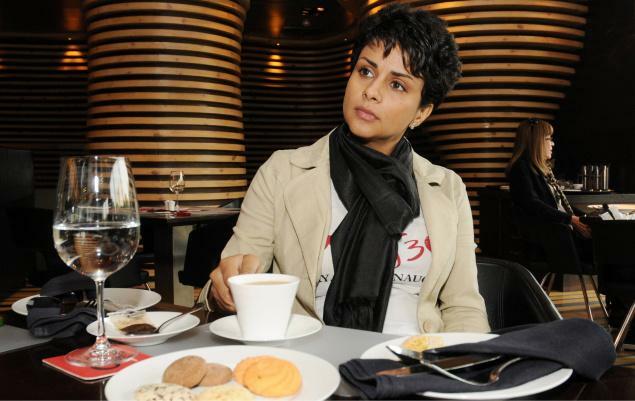 For Gul Panag, eating has its phases. “When I am working, eating becomes just a need to survive. I want something safe but when I am on an experimental spree, like I was during a film festival in Moscow some time back, I surrender to virtually everything.” She takes sugar and oil in moderation but in winters she can’t do without the good old gur (jaggery)every day. Unfortunately, it turns out to be one of those working days for Gul when we take her out to the coffee shop of Le Meridien, which is always buzzing with activity. In Delhi to promote her latest film Turning 30, Gul opts for earl grey tea with some cookies.